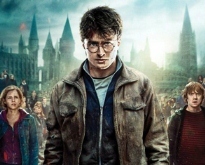 We OFFICIALLY confirm that ALL major Multiplexes in India, especially mumbai have started bookings for HARRY POTTER AND THE DEATHLY HALLOWS part 2 -3D. The most important part, IMAX wadala has also opened plans, with first show at 9:15 am. We, the people of HPEarth will be dawning upon IMAX Wadala, Mumbai around 8:30am tomorrow. Having confirmed tickets, hope to see to see you all. I(Suman) would be in a deathly hallows Tshirt, so just walk up and say hello! SEE YEH ALL!!! For the EPIC FINALE! !